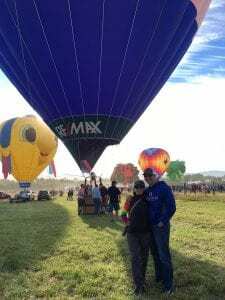 RE/MAX Realty Affiliates wrapped up their Miracle Month of August for CMNH by hosting their annual tethered balloon ride during the Great Reno Balloon Race a couple weeks ago. As in the past, RE/MAX agents invited their clients and families to the event for a small cost with proceeds to go to CMNH. Be sure to be on the look out for RE/MAX’s Honor Cards!